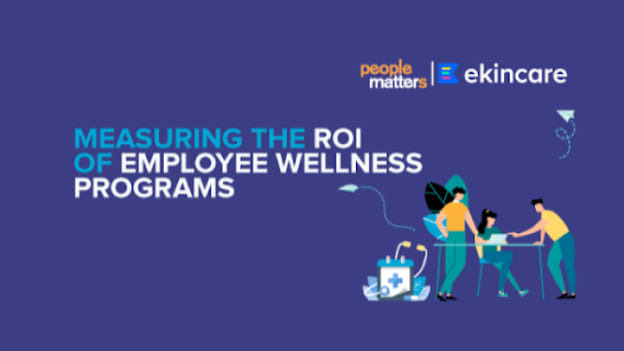 People Matters in partnership with ekincare studied how Indian companies are measuring the effectiveness of the corporate wellness function. Read on to get the latest insights. With the onset of the year 2018, we saw a lot of research and articles doing the rounds claiming that ‘workplace wellness programs really don't work’. Those researches and findings claimed that corporate wellness programs aren't saving money or making employees healthier. According to some of these research findings, workplace wellness programs have two main goals: improve employees' health and lower their employers' healthcare costs and they are not very good at either. However, there is another interesting element to it! Continuing with our endeavor to provide actionable research to our community, People Matters in partnership with ekincare studied how Indian companies are measuring the effectiveness of the corporate wellness function. The study was launched in People Matters Total Rewards and Wellness Conclave 2019. Understanding the current landscape of Corporate Wellness programs which involved objectives and challenges, wellness technologies, and budgets. Limited budgets have been the top challenge for companies to drive workplace wellness initiatives. However, we also see employers are committing to employee well-being by ramping up investments in health and wellness program. Interestingly, Indian Inc. can see the budgets for Employee Wellness Programs going up in 2019. On a scale of 1-5, Indian organizations rated their satisfaction with current wellness initiatives at 3, indicating the average results of wellness programs. Majority of companies do not offer personalized wellness activity resulting in less employee adoption and engagement. While most employees are using insights based on employee population to negotiate insurance premiums, there still lies scope for improvement for Indian organizations to offer better insurance policies. Download the complete study here to get more insights from the report.